State Street will make additional hires to the Charles River team and will invest in its technology and software. 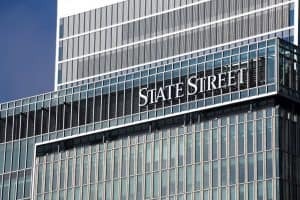 State Street has outlined plans to build on Charles River’s team with new additions following the announcement of its $2.6 billion acquisition of the front-office services provider. The financial services giant will add the front-office services to its flagship middle- and back-office services and also intends to invest in Charles River, according to Lou Maiuri, head of State Street Global Markets and State Street Global Exchange. Charles River’s flagship Investment Management Solution (IMS) automates front- and middle-office processes for buy-side firms in more than 40 countries, including 50 of the top 100 asset managers that, in aggregate, have more than $25 trillion in assets under management. Maiuri said that he expects Charles River to also benefit from some of State Street’s services and leading technology. Charles River currently serves more than 300 clients across institutional, wealth, asset owner and alternative market segments. The firm recorded revenues of more than $300 million in 2017. Its trading software and services, specifically its order management system (OMS), is popular amongst buy-siders with research from Greenwich Associates last year showing it is the second most used OMS provider after Bloomberg AIM. Maiuri continued that the acquisition was in response to trends among State Street’s buy-side clients who are looking to become more efficient and rationalise their costs. “We started the journey to help our asset managers to rationalise their complexity, and when we asked who was the best out there, we liked it.